For any young driver, getting their licence and a set of wheels is a milestone - and as a parent you can help them make a safer choice. Your kids may consider the most important questions to be what colour is it? What will their friends think? However, what is most important is how the car would perform in a crash. 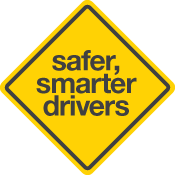 With a new driver statistically more likely to be involved in a crash, considering they have limited driving experience, they should be in the safest car possible. But as a parent how do you guide this monumental purchase? The ANCAP website is a great tool for finding the safest possible car. ANCAP crash tests new vehicles on the market and then awards a one to five star rating depending on how well it protects its occupants - five stars being the safest.report by the University's Centre for Automotive Safety Research (CASR) says the safety level of a young driver's car is typically not the first priority of the driver or their parents – but perhaps should be. "A concern that families might sometimes have is that the teenager might damage the family's primary car, and the cost of repairs and higher excesses become an issue," says report author Associate Professor Robert Anderson, CASR Deputy Director. "But perhaps families could be persuaded to consider whether the main priority ought to be the teenager's safety." They found that the majority of the cars driven by under-25s were worth less than $5,000 and the average vehicle age was 12-13 years. Very few vehicles driven by younger drivers have ESC. "These older and less expensive cars lag behind those driven by more mature drivers in terms of the level of safety technology," says Associate Professor Anderson. "Because technologies are introduced gradually, the deficits of young drivers' vehicles persist for a long time. Unfortunately, this shows up in the crash statistics for young people." What's the difference between a one and five star rated car? You have twice the chance of being killed or seriously injured in a one-star car compared to a five-star car. See the difference for yourself. 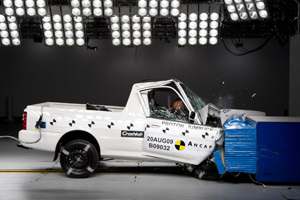 Watch and compare a one, three and five star ANCAP rated car crash tested at 64 km/h. So, you're searching the used car jungle with your young driver and trying to balance the competing needs of safety, affordability and cost? Firstly, it's important to realise that a car with a high safety rating doesn't necessarily cost more. In many cases, you'll find reasonably priced vehicles score more stars than expensive cars. Three point seat belts in all positions. Head rests in all seating positions. Take a copy of the My First Car Checklist with you when shopping for a new car. How will the High Performance Vehicle ruling impact the car hunt? if you have an exemption certificate. The penalty for driving a high powered vehicle includes paying an expiation fine and you will incur demerit points. For further information on High Powered Vehicles visit High Powered Vehicles.